Since the age of eight, Maria Schwartz has been captivated by the flute and orchestral music. At age 11, she became a Suzuki student of Berta Frank in Jericho, Vermont. Most recently, Maria has trained with Meret Bitticks, Noelle Perrin, Kelly Williamson, and David Gerry at the Great Lakes Suzuki Institute. In Chicago, she is on faculty at The Music Institute of Chicago as well as DePaul’s Community Music. In addition, Maria maintains studios at St. Edward School and at Luscombe Music. As a highly regarded orchestral musician, Maria has performed in Severance Hall, Carnegie Hall, and Heinz Hall. She holds the position of Second Flute with Northwest Indiana Symphony Orchestra and New Philharmonic. Maria has been invited to perform with Illinois Philharmonic Orchestra, Rockford Symphony, Northbrook Symphony, Oistrach Symphony, Civic Orchestra of Chicago, Cleveland Pops, and Vermont Symphony Orchestra. 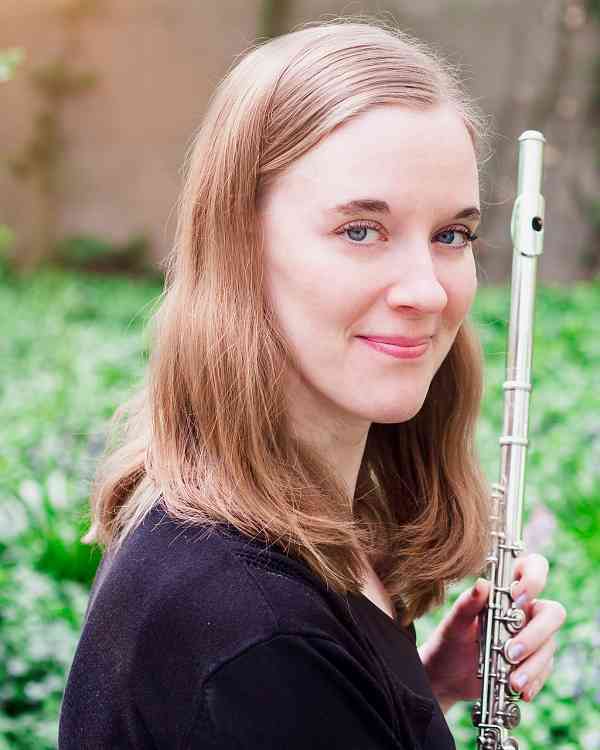 Ms. Schwartz was the flutist for the 2011-2012 season’s MusiCorps® woodwind quintet. MusiCorps®, a music education and advocacy program allowing musicians to give presentations to Chicago Public Schools, allowed for her love of chamber music, performing, and teaching coincide. Ms. Schwartz received her Bachelors Degree in flute performance from the Crane School of Music at SUNY Potsdam, studying with Kenneth Andrews. She earned her Master’s Degree from the Cleveland Institute of Music where she studied with Joshua Smith. Additionally, she was accepted into the Institute’s Professional Studies program where she earned a post-graduate certificate. Maria has studied extensively with Mary Kay Fink and has performed in master classes with Emmanuel Pahud and Robert Langevin.